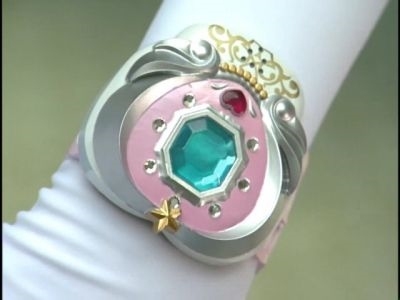 These items are really only one- the silver bracelet allows for the transformation to happen, but it turns into the Jewelry Star Bracelet when Mercury is transforming. 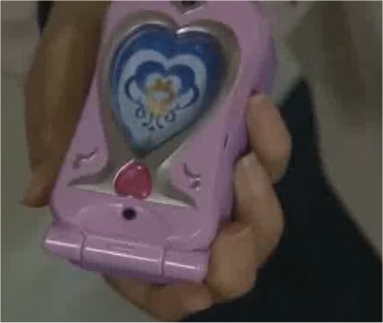 This cell phone has the ability to act as a communicator with the other senshi, act as a plain phone, and also to act as a disguise device. 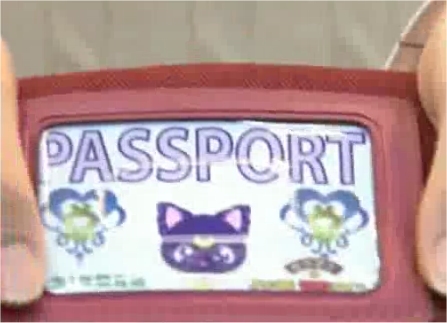 If Ami takes a photo of someone she will transform into that person. This sword was created when Sailor Mercury prays to water for help while fighting Kunzite. The water complies and creates this sword- unfortunately, it dissolves away almost immediately. The tambourine is a weapon in which energy can be conducted through. 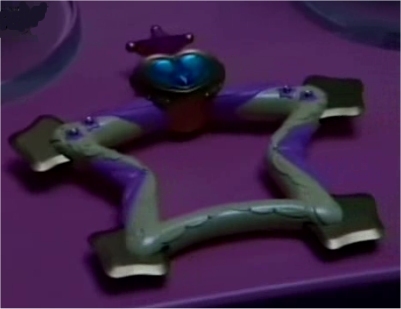 It helps to amplify her power, and in the final act it transforms into this sword (the sword is used again in the Special Act).